Creating custom brushes is a powerful ability and can drastically enhance your overall workflow. Experimenting is the key to find out what suits best for you! 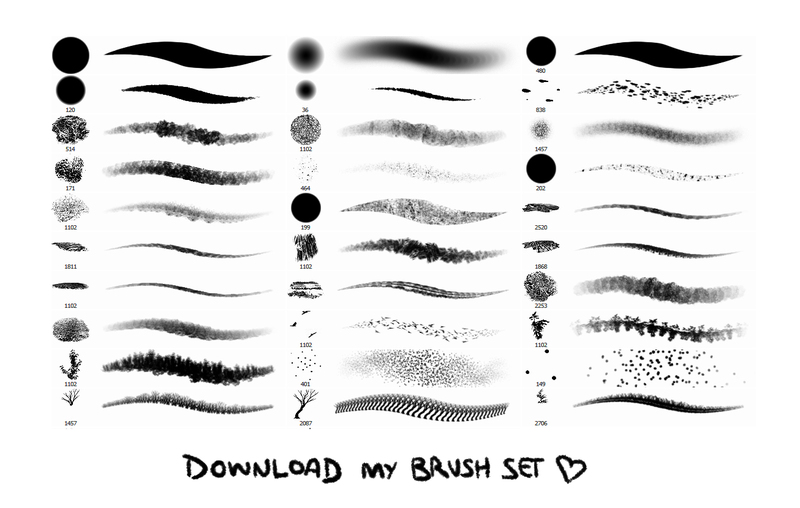 Before that, we cover all the basics you need to know, to create a strong set of custom brushes from scratch. Remember to download the handmade brush collection at the end of the section, to follow along on every step in the class. If you want to take your challenge to the next level, you can just use them as an inspiration and create a new brush-set entirely by your self and use it during the rest of the class. A complete guide to digital painting. From start to finish. 100% real time, no time lapses, no parts skipped. Draft Let's Create Custom Brushes! Take Your Time! Take Your Time! Draft There is plenty of it.